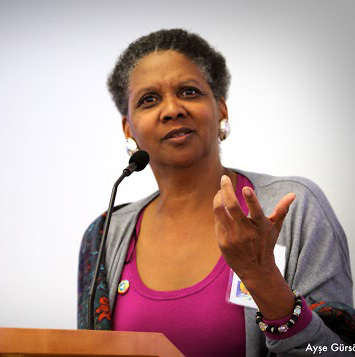 Clean energy leaders from across the United States gathered in Oakland, California on March 5, 2015, to discuss how to advance community-based alternatives to the centralized corporate energy model. 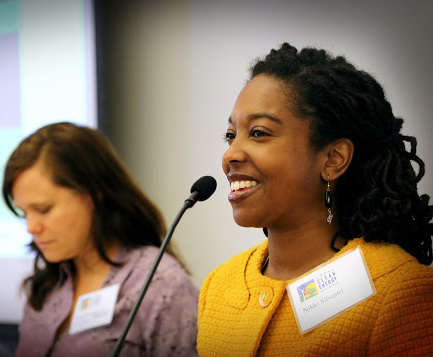 The Clean Power, Healthy Communities Conference, hosted by the Local Clean Energy Alliance, brought together 150 clean energy advocates and a national webcast audience in an inspiring day of deliberations on strategies for democratizing our energy system. The conference, sponsored by some forty-six Bay Area organizations, featured two powerful keynote speakers, Nikki Sylvestri, Social Innovation Strategist and former Executive Director of Green for All, and Denise Fairchild, President and CEO of the nation-wide Emerald Cities Collaborative. The program also included 30 other speakers in plenary sessions and workshops, representing community-based organizations and clean energy initiatives both in the Bay Area and from New York, Massachusetts, Washington, DC, Kentucky, Minnesota, southern California, and the Navaho Nation. The diverse set of speakers, over half of whom were women and people of color, presented an equally diverse set of perspectives on how to organize and strengthen the movement to build decentralized, community-based energy resources in a way that empowers our communities—the movement to democratize our energy system. Cecilia Martinez (see video), from the Center for Earth Energy and Democracy in Minneapolis, distinguished between the effort to wrest control of energy from the current energy establishment, on the one hand, and the effort to transform energy from a commodity for capital accumulation to a human right, a resource for servicing human needs, on the other. Vivian Huang (see video), from the Asian Pacific Environmental Network spoke about the change needed for low income communities and communities of color in how they relate to each other and how they relate to economic issues for them to take leadership on energy issues, and Sean Sweeney (see video), from Trade Unions for Energy Democracy, spoke about the struggle internal to the labor movement for unions to become a force for climate justice. The rich experiences of speakers and conference participants provided for inspiring discussions on how to organize for energy democracy. 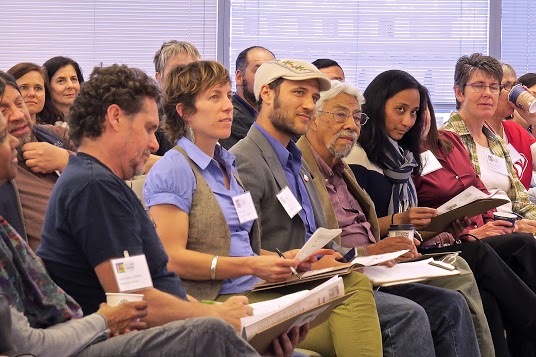 A labor workshop, for example, drew representatives of more than a half-dozen unions into conversation with local clean energy advocates about how to engage unions in taking up the challenges of a changing climate. Other sessions on the fight against fossil-fuel expansion, Community Choice energy, community-based solar, and on the role of democratized energy in the building of a “new economy” provided the setting for deliberations on the strategic challenges in building a movement for energy democracy. Photos and videos of the conference sessions and individual presentations can be found at the Clean Power, Healthy Communities Conference web site for those wishing to partake in this inspiring conference about the challenges of building a powerful energy democracy movement.